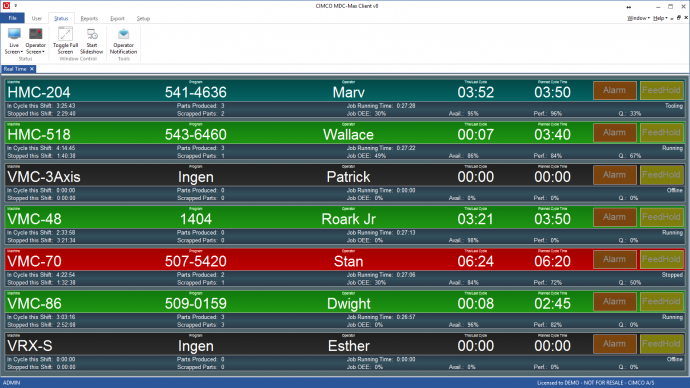 One of the unique features of CIMCO MDC-Max is the Live Screen feature which provide a great status overview for every machine and can be displayed on large plasma or LCD screens. Live Screens can be configured to show a list of all machines and their current status. Further, data such as machine name, job name, part count, running time, downtime, etc. can be associated with each machine to provide a complete overview. Live Screens are normally displayed on large TV screens that are installed in convenient locations so that all personnel can easily see the status of each machine. 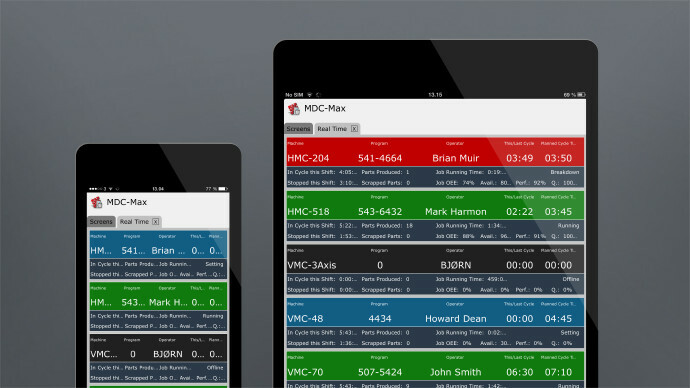 However, Live Screens can also be displayed on smartphones, tablets, and touch screens using the MDC-Max Web Client and can thereby be viewed on any device with a browser and internet connection. A new version of the Web Client is currently being developed. Read more about it here. 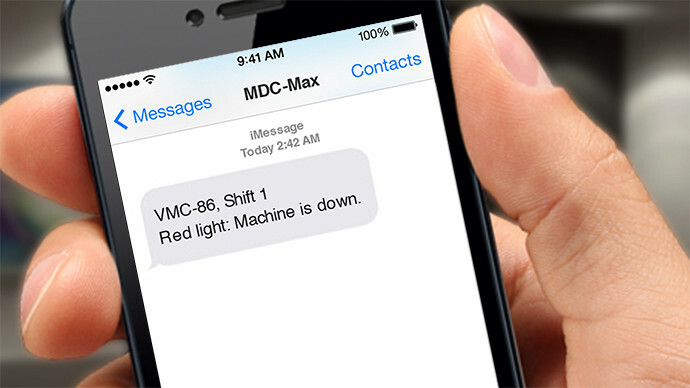 If machines are running unattended MDC-Max can be configured to send an email and a text message to a stand-by operator’s or supervisor’s smartphone if a machine stops.